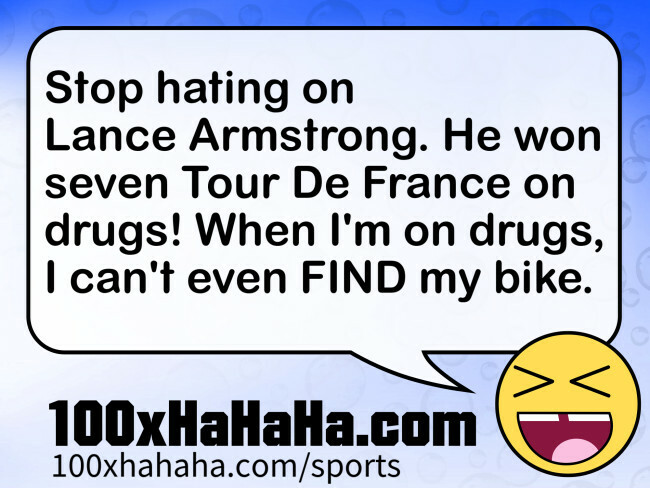 Stop hating on Lance Armstrong. He won seven Tour De France on drugs! When I'm on drugs, I can't even FIND my bike.